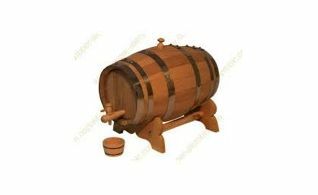 There are a variety of European oak and chestnut barrels that Musca Wine Pressing & Supplies offers. 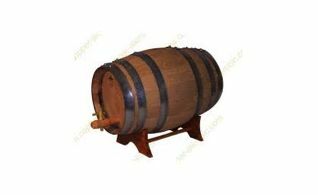 The barrels come in different styles, colours and sizes. European Chestnut Barrel 100 Lt.
European oak barrel in a chestnut coloured wood holding up to 100 Lt.
European Chestnut Barrel 125 Lt.
European oak barrel in a chestnut coloured wood holding up to 125 Lt.
European Chestnut Barrel 150 Lt.
European oak barrel in a chestnut coloured wood holding up to 150 Lt.
European Chestnut Barrel 30 Lt.
European oak barrel in a chestnut coloured wood holding up to 30 Lt.
European Chestnut Barrel 50 Lt.
European oak barrel in a chestnut coloured wood holding up to 50 Lt.
European Oak Barrel 10 Lt.
European oak barrel 10 Lt. comes with stand, wooden stopper, spigot and drip pan. 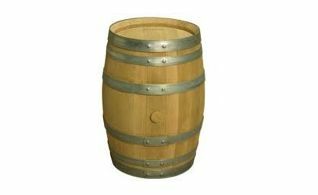 European Oak Barrel 100 Lt.
European oak barrel holding up to 100 Lt.
European Oak Barrel 24 Lt.
European oak barrel 24 Lt. comes with stand, wooden stopper and spigot. 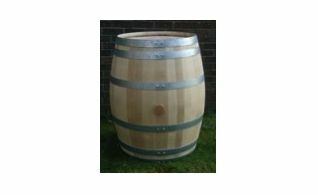 European Oak Barrel 30 Lt.
European oak barrel holding up to 30 Lt.
European Oak Barrel 50 Lt.
European oak barrel holding up to 50 Lt.